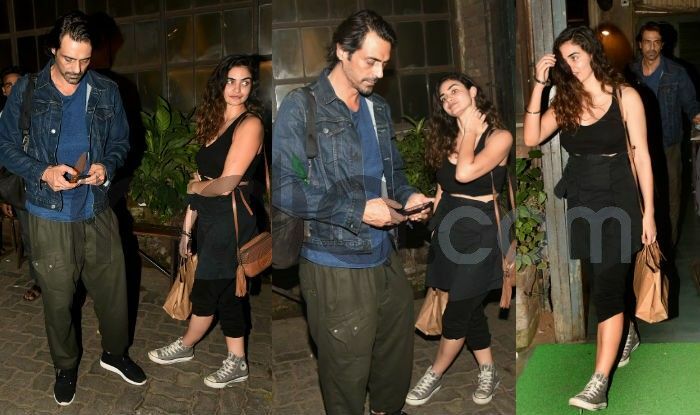 Bollywood actor Arjun Rampal and rumoured girlfriend Gabriella Demetriades, who are often spotted together recently, spent a sunny day at the pool along with their pet. Now, the picture from their outing has made its way to social media and is going viral. 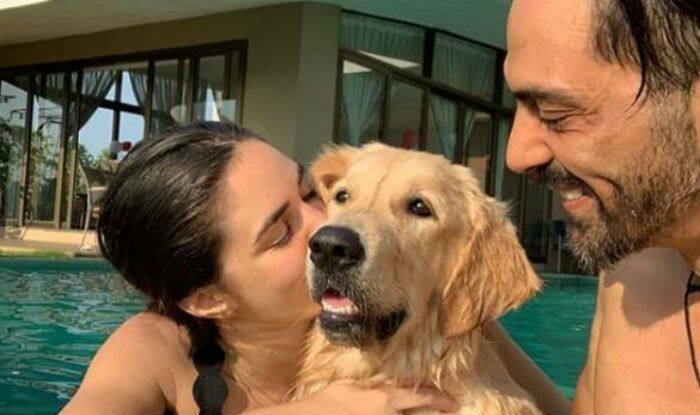 In the picture, Arjun and Gabriella are spotted inside the pool along with their furry friend. While Gabriella is seen kissing the dog, Arjun smiles looking at the adorable gesture. Well, the couple is beating the summer heat and what better way than being a water baby along with their furry friend. Earlier, the couple was spotted coming out of a popular eatery in Mumbai after a dinner date. While Gabriella smiled and posed for the cameras, Arjun remained distant. The two seemed to be gelling well together. Gabriella is a model from South Africa, who also runs a women luxury clothing line named Deme by Gabriella. Arjun and wife Mehr Jesia ended their long 20-years of marriage last year. While announcing their separation, the couple released a statement saying, ““After a 20-year-long beautiful journey filled with love and beautiful memories, we would like to share, that all journeys have different paths. We feel that it is time for us to move on to different destinations henceforth. We have always been solid when it has come to us, we will continue to be solid for each other and our loved ones, as we embark upon a new journey”. The statement further reads, “Both of us being extremely private people feel strange to be making this statement, but such are the circumstances of our lives. Where the truth can get distorted and lost. We are a family, our love for each other is forever intact and we shall always be there for one another and most importantly, for our children Mahikaa and Myra. We would, therefore, appreciate our privacy through this time. Thank all for their support. Relationships can end, but love lives on. We won’t be commenting on this any further”.